Customize how you want to view the standard attribute types (including task, status, context, priority and impact) or create your own. "There's a lot of flexibility and customizability here. 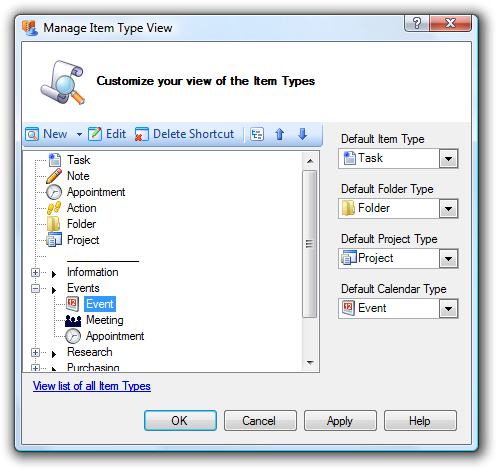 You can create new types of documents or priorities (such as "I Need It Yesterday!")."